Just returned from the north country. For me that means northern Manitoba, north of Churchill on Hudson Bay. This is my fifth trip to this part of the world and I do not tire of the scenery. At the edge of the Boreal Forest, the tundra abutting Hudson Bay is spectacular, especially in the fall. The colors simply brilliant. It is fascinating watching the fourteen-foot tidal change of Hudson Bay affect the landscape hourly. And there are the animals. This trip I was able to watch peregrine falcons hunting. It is the closest I have been to this bird and they are certainly dramatic aerialists. Northern Harriers and bald eagles added to the list of predatory birds. Of course September signals goose migration. Snow and Ross geese fill the sky. Some move in large flocks, others in family groups. 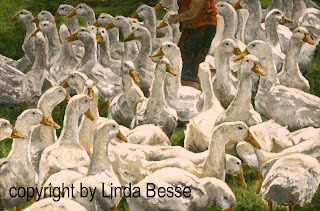 I was there a little later this year and noticed an abundance of "blue" geese, the dark phase of snow geese. This is a particularly beautiful color variation. We have noticed that many snow and Ross geese will spend time around the fresh water ponds near the Bay and sometime during the day head inland for berry picking. 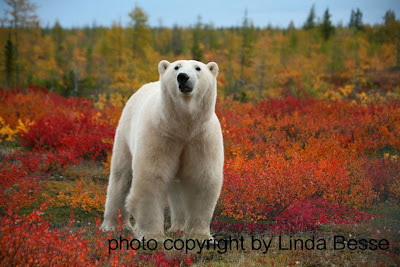 The tundra is filled with wild berries: blueberries, cranberries, cloudberries, crowberries, and black currants. 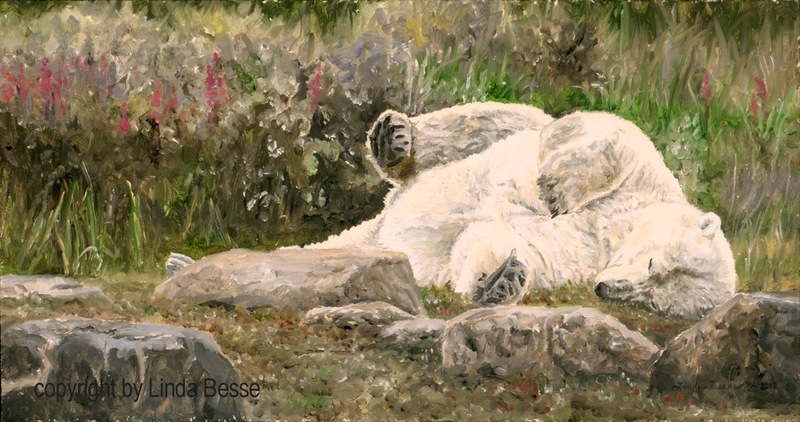 The star of the show in this country is the polar bear. Framed by the fall colors of the tundra, they are striking. I had the chance to see two bears up close from the ground. Expect to see paintings from this amazing trip. One of the exciting things about being a wildlife artist is getting outside the studio to encounter wildlife in its natural habitat. With Churchill Wild (www.churchillwild.com) and Webber's Lodges (www.webberslodges.com) I have been able to experience being in the presence of wild polar bears. Unlike some of the big machine buggy tours in Churchill, this is true wilderness. 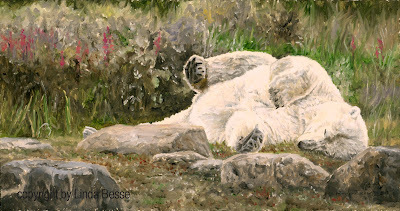 On the ground, breathing the same air, and watching polar bears act naturally in their environment. A couple years ago, three of us spent 6 hours with 2 polar bears just outside Seal River Lodge. They had feasted on a beluga whale and were stuffed and contented. Since it is that time of year again, I wanted to paint a piece inspired from that encounter. 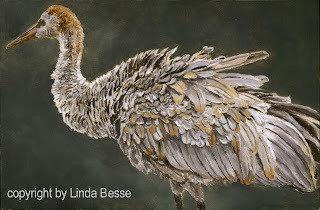 This weekend, Birds in Art at the Leigh Yawkey Woodson Art Museum in Wausau Wisconsin opens and continues until November 10th. If you like birds, this show will thrill you. 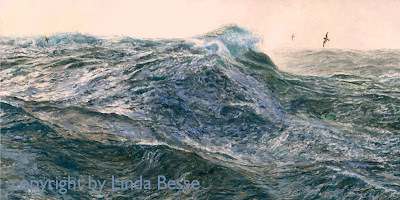 Artists from around the world have had their paintings, sculpture, and carvings selected for this prestigous exhibition. Not only will many of us attend the opening (including an artist friend of mine from Japan, Haruki Koizumi), but visitors will "flock" from all over for the Grand Opening. 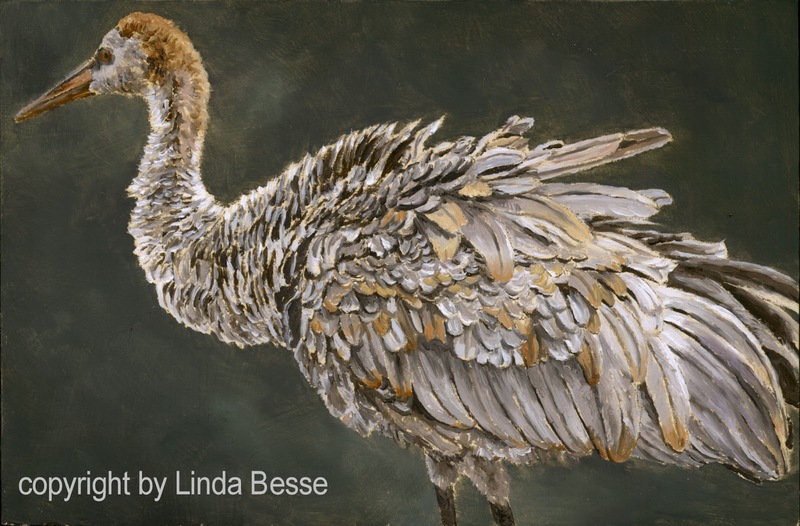 All of Wausau will be very birdy for this "Artrageous" weekend. You can see my selected painting, Easter Parade, on my blog post of May 9th. Also opening this weekend is the Western Regional Oil Painter's of America show. 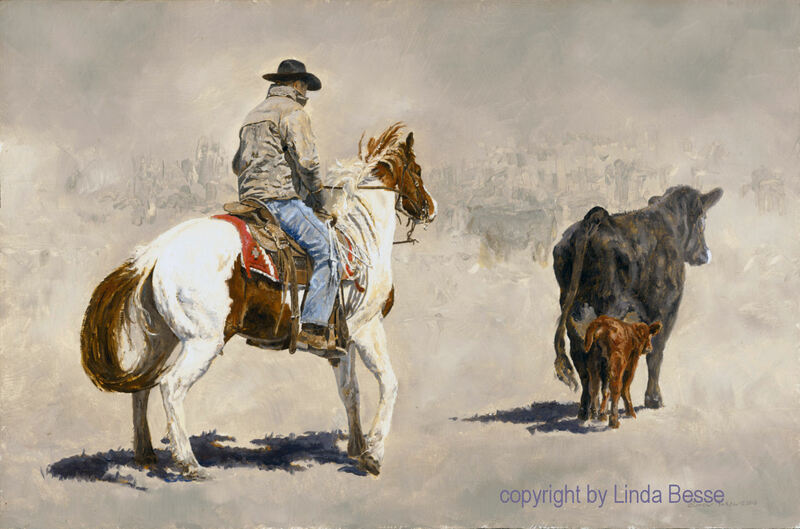 The top 100 entries from members of the Oil Painters of America western 1/2 of the country will be on display and available for purchase at the Southwind Art Gallery in Topeka, KS. The show will continue until October 26th. 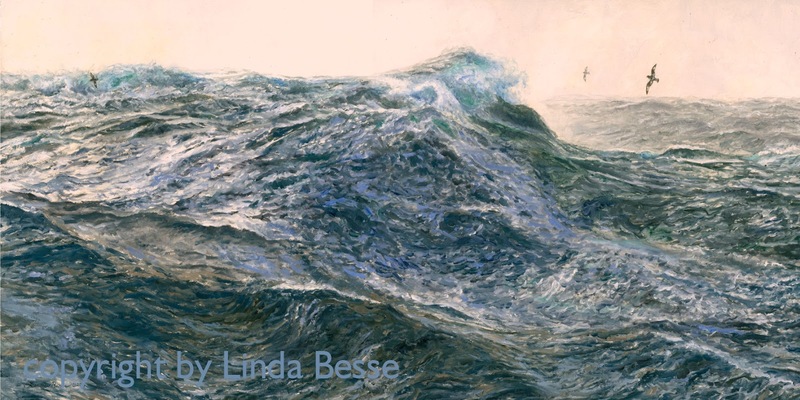 My selected painting is High Seas which was inspired from my trip across the Drake Passage to Antarctica. With 48 foot seas it was a trip to remember! So intent on painting the rider and horse, I failed to photograph the painting in-progress. First I started with the rider's hat because I wanted the darkest value established. Next I moved to the shadows in his jacket and then to his pants. Mixing several colors including burnt sienna, I painted the leather straps and saddle. The colors which I mixed for the calf were modified for the horse and I saved the "white" of the horse for last. I used my usual titanium white with a hint of cadmium yellow deep for the white.